The Amber Suite features classic borders and block print text giving this wedding invitation suite a modern and classic feel. 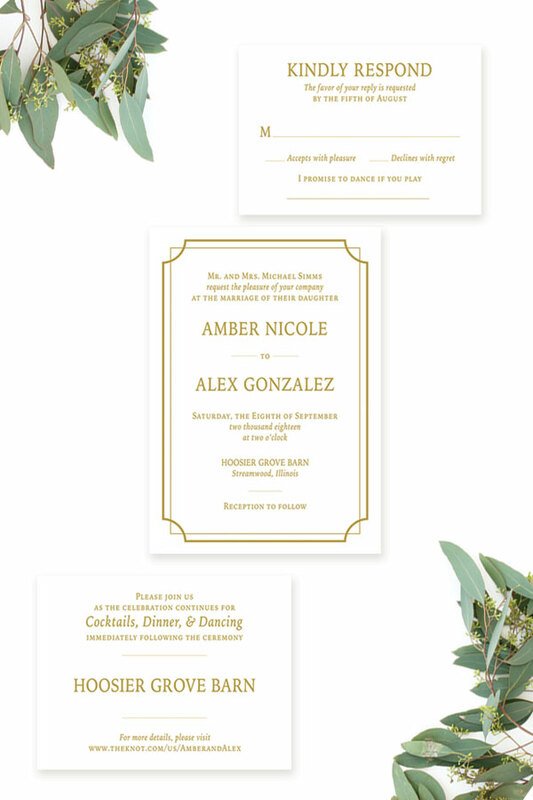 The Amber Wedding Invitation Suite is for the couple wanting to keep a clean look with classic vibes. You can customize this wedding invitation suite by changing the colors of the border, font, envelopes, and paper to fit your wedding vision. This wedding invitation suite is upgraded with a red accent layer, real wood envelope liner, and a white laser cut inner envelope with red envelope liner.